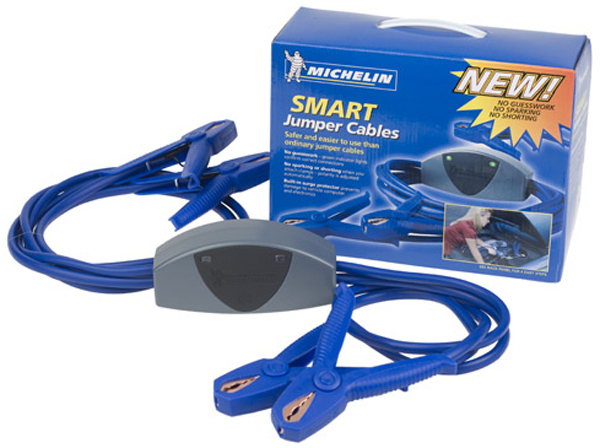 Michelin Smart Jumper Cables are much safer and easier to use than ordinary jumper cables. 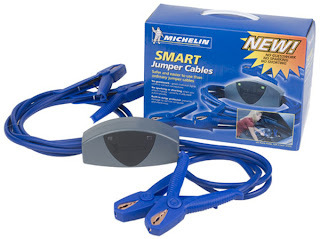 These jumper cables won't spark when you connect them, and they automatically adjust polarity to ensure safe power transfer. What's more, the built-in surge protector helps keep vehicle electronics safe. Equipped with heavy-duty 12-foot, 8-gauge copper clad aluminum cables, these cables make it easy to connect one vehicle to another and efficiently transfer power.